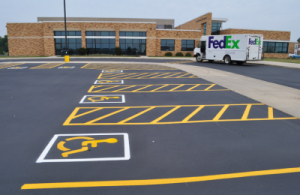 Asphalt Services SE Wisconsin – Commercial & Residential | Asphalt Contractors Inc.
From start to finish, we plan, manage and complete your asphalt project with attention to detail. Top quality equipment for milling and pulverizing to provide a long lasting, smooth driving experience. Experienced crew offering onsite crushing with the capabilities for up to 3,000 tons per day. Top quality asphalt manufacturing to minimize the cost and remove the need for an outside source. Asphalt Contractors Inc. is your source for high-quality asphalt services in SE Wisconsin & northern Illinois. And that’s just to name a few. Take a look at our gallery and past projects to see the results of our services for yourself. When Asphalt Contractors Inc. is on the job, every dollar spent is a worthwhile investment. Get a Free Estimate on your asphalt needs today! Asphalt Manufacturing – To cut costs for our clients and guarantee a quality end product, we’ve taken control of every process our asphalt services encompass, including manufacturing asphalt ourselves. Paving – Asphalt Contractors Inc. is a lead provider of residential and commercial asphalt paving services in SE Wisconsin. 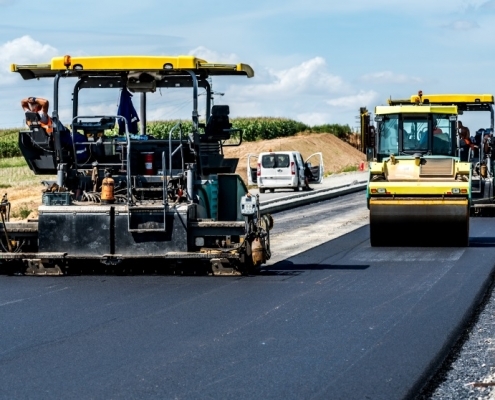 Our road paving contractors are proficient in new road construction, road reconstruction (repaving), and asphalt overlays. We’re also the best choice for paving new parking lots and driveways too. Give us a call to find out how we can help on your next asphalt project! Asphalt Maintenance – We’re happy to manage your residential and commercial asphalt maintenance needs too. Our maintenance services often include crack filling, asphalt patching, seal coating, and striping. Milling & Pulverizing – We also play our role in preserving the environment by recycling asphalt. One way we do this is by recycling the old asphalt on repaving jobs. We will mill the old surface area and then pulverize it into an aggregate that can be incorporated into the base of your new asphalt. If we do not pulverize the asphalt waste onsite, we will transfer it to our crushing site for recycling. Custom Crushing – Our contractors can bring mobile crushing equipment directly to your jobsite to crush and recycle asphalt and concrete waste, or we can transfer your waste to our Union Grove or Milwaukee custom crushing facilities. Whether you’re installing a walkway, driveway, or road – if you want the best asphalt and concrete services Milwaukee has to offer, you want Asphalt Contractors Inc. on the job. We can beautify your home with a long-lasting, perfectly installed concrete sidewalk. Looking to enhance your storefront and increase property value? May be you’re sick of customers and employees complaining about potholes. Our asphalt and concrete contractors are the solution! We provide outstanding paving and sealing services throughout SE Wisconsin and the Milwaukee area, including Wauwatosa, West Allis, Hales Corners, Franklin and more. Contact Asphalt Contractors Inc. for asphalt services in SE Wisconsin.